In the golden days of the 1970s and ‘80s we avidly collected LP records, spending free Saturday afternoons religiously flipping through stacks of shiny cellophane-wrapped treasures in throbbing high-street stores. There were two kinds of album covers – the first kind usually featured quickly-produced photographic images of a band or a pretty girl, who usually looked a bit silly, with too much makeup and very bad haircuts, and trying-too-hard-to-be-fashionable clothes. The second kind was either designed by Roger Dean, or by Roger Dean’s colleagues, or by people who wished they were Roger Dean. Many of today’s imaginative realist artists remember his album covers with special fondness and cite Dean as an important influence upon their own creative journeys. Tugging at the strings of nostalgia, “Dragon’s Dream” is the same shape and size as an LP record, and the beautifully designed cover recalls the same feelings of delight and pleasure we felt when discovering the great gems of album artwork. Cool turquoise and aquamarine hues shape a misty landscape of twisting cypresses and eroded boulders. 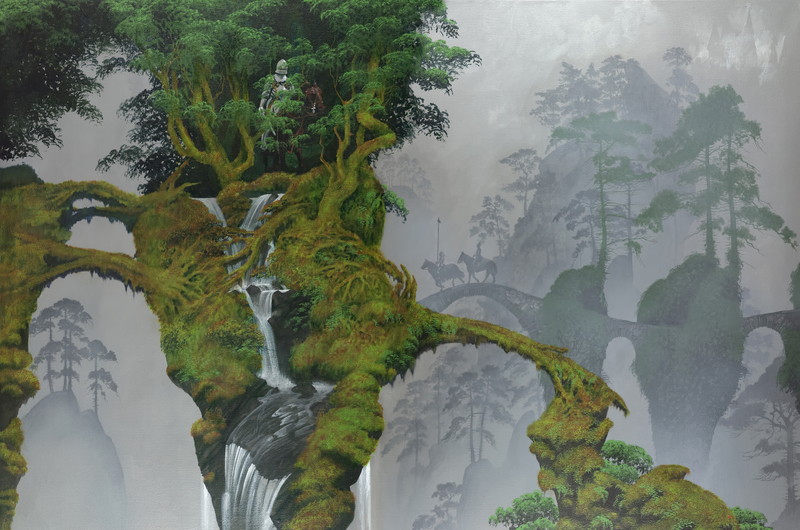 In the bristling foliage of a foreground tree, a fantastic snake-like dragon creature glares at a pair of distant riders, whose skittish horses have smelled the scent of danger. A classic piece of Dean’s organic and beautifully fluid lettering design forms the delicious, almost Nouveau header titling the book. The third in a trilogy of volumes of Dean’s collected works, this new edition of “Dragon’s Dream” is beautifully designed and printed, packed with paintings and illustrations from the past twenty years or so of his career. You might think he would have lightened his workload over the years, but the book shows neither evidence of lost momentum, nor any diminishment of his ability to make manifest the worlds of his inner vision. 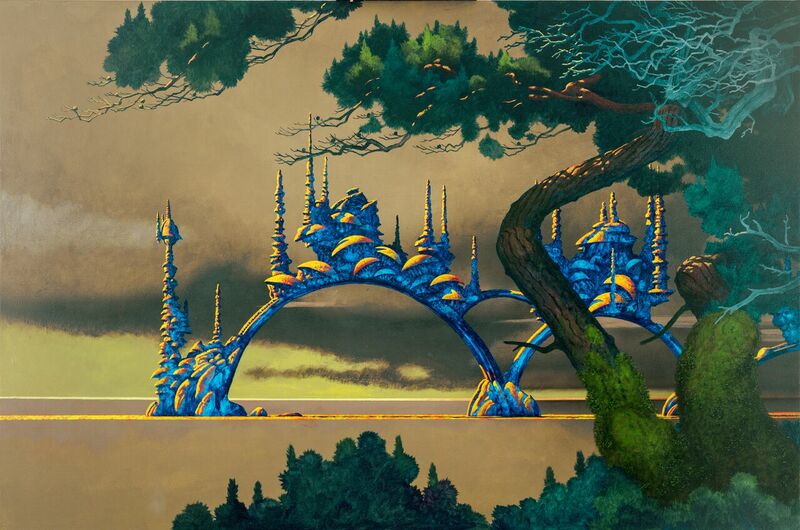 Inside, there is an extravagant array of visual treats, ranging from his extraordinary architectural designs to landscapes for his video games. There is a concise but evocative description of his early days when he was neighbor to his friend Storm Thorgerson, the legendary designer, and his first adventures in album art. Curiously, Dean designed the archetypal sea-urchin chair – his prototype is in the permanent collection of the Victoria and Albert Museum. But the book is really about Dean’s glorious paintings, imagery created for giants of the music business, and beautiful renderings of his fluid, voluptuous building projects. 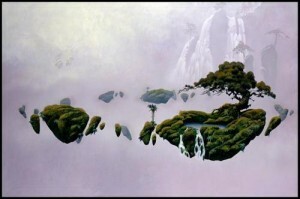 Many of these images have entered the collective consciousness, especially his famous floating islands and his spectacular other-worldly rock formations, which have been reproduced in their millions as posters and album covers, published in books and “borrowed” without his permission to create the Gaian environment of the Pandora moon in the movie Avatar. His compositions are influenced by Feng Shui, which he first learned about as a teenager living in Hong Kong while his father was posted there with the British army. In China, this ancient system of geomancy shaped architecture and landscaping for centuries until it was forbidden by Chairman Mao and its practitioners oppressed by the Red Guard. Feng Shui flourished in Hong Kong and Taiwan where it was safe from the attention of the cultural revolution. Dean was fascinated by the idea of harmony between the elements, and his sophisticated system of balance between air, earth, sun, and water is evident throughout his paintings, which repeatedly refer to equilibrium and potential. His best-known paintings are scenes in which the gravitational pull between earth and sky is in perfect balance, allowing stone to float suspended in mist. Although he mines his fertile inner vision to produce iconic imagery for the popular mind, his paintings are deeply grounded in reality. Dean has accurately described himself as “a landscape painter.” This is a truthful description of his approach to painting – making direct observations of real places and natural phenomena and mixing it with creativity and fantasy to craft the landscapes of other worlds. His sketchbook is never far from his hand as he travels. The cover painting Dragon’s Garden, a partner piece called The Watchtower and a series of gorgeous silkscreens are all based upon the wonderfully gnarled wind-swept cypress trees that grow around Monterey, to the South of San Francisco but given a healthy treatment of mystery and wonder. Arches Mist is based on a blown-down tree he discovered while exploring the gentle woodlands around his home in the South East of England, where magic and fantasy stand close to the impositions of civilization. The ancient eroded stone formations sculpted by wind and water in the deserts of Utah and Arizona inspired him to create the twisted towers and curves of his paintings The Guardians and Tsunami (both used for the cover art of the Yes album Union) and Sentinel. His painting Elbow Rock is based upon rock formations Dean sketched during a dawn walk – he repeated the form again in Grey Elbow Rock. He was fascinated by the weird morphology of lava flows in Hawaii, where liquid rock has spewed into ocean water, forming bridges and petrified flowing forms. The paintings originate from locations scattered around the world, which he has transformed to create new and fantastic landscapes. Pencil sketches in Dragon’s Dream help to reveal a small part of the process that is at the heart of Dean’s work. His imagination is exciting and sensual, invites us to participate in a different way of being, invites us to go on a journey without leaving the house. It transforms the real into something extraordinary. Dean’s imagination makes the impossible possible and inspires us to believe. 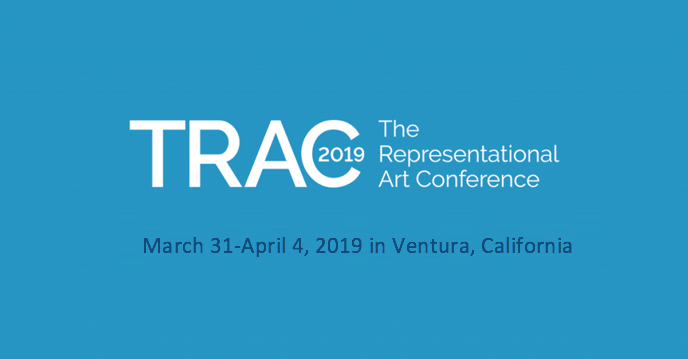 Roger Dean is keynote speaker at TRAC2019.